I'm so excited to FINALLY be doing this post! 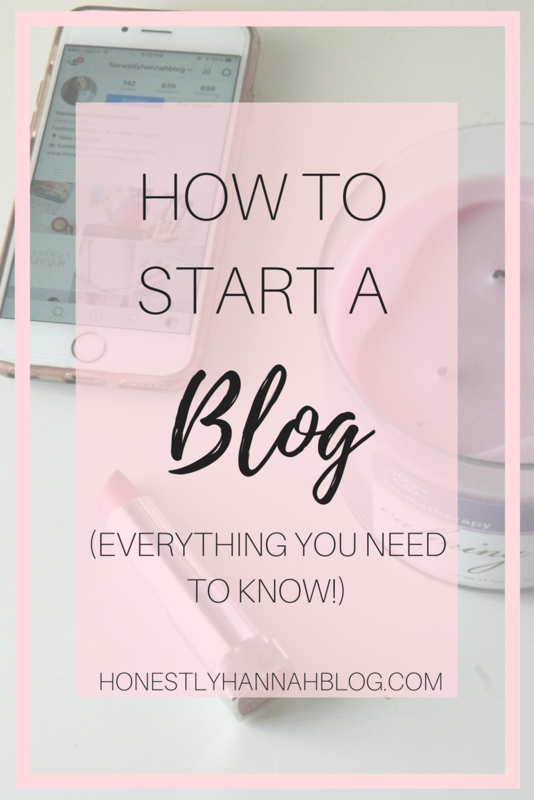 One of the most frequent questions that I get from readers is "How the heck do you start a blog?." I've gotten a number of emails from readers asking this question, and I always answer with an email that consists of multiple paragraphs. At the end, I always promise that my "how to start a blog" post will be coming soon. SO here it is! It seems simple, but without any guidance, the task of starting a blog on your own can be daunting. If I had known any of this when I started a blog, I probably would've gained readers a lot more quickly! I hope this step-by-step guide is helpful for anyone who wants to start blogging. Please feel free to leave any questions in the comments below or shoot me an email! Starting a blog was absolutely one of the BEST decisions I've made. Here are just a few of the many reasons to start a blog. - You'll gain experience in web design. I never realized how much I actually knew about web design until a friend asked me for help designing their site. Suddenly, all the knowledge I had of HTML started flooding through my brain. - It looks great on a resume. I have added my blog to my professional resume and I think it's what has really distinguished me from other job candidates for some positions. Having your own blog is quite literally a virtual representation of your writing. - You can make money. Now, if you start a blog with just the hope of making money, you will probably fail miserably. It takes a long time to even make a cent from blogging, so don't expect quick cash. When I first started a blog, I had no idea you could even make money from a blog. As I did more research, I definitely made it a goal to start making money with my blog, but it was not at all my sole reason for blogging. You really have to LOVE it, because it will get tiring if you're just in it for the money. - It's FUN. One of the best things about having a blog is simply having a place to share your thoughts with the world and maybe even help someone out. Blogging is definitely one of my favorite parts of the day! Before you even start thinking about your name, it's important to decide what niche you want to be in. But what's a niche? A niche is basically a particular kind of blog. Do you want to be in the beauty niche? Fashion? College? Health? Fitness? Lifestyle in general? The options are endless. When it comes to selecting a niche, try to choose something that you're actually passionate about. Don't just choose "fitness" for example, because you think it's trendy or something. You'll get bored and you'll wish your chose something else! The next thing to consider when starting a blog is what you want the name to be. As some of you may know, I changed my domain name to Honestly Hannah last February because I realized that my previous domain name just didn't fit. I think this happens to a lot of bloggers if they don't spend a lot of time thinking about what they want their domain name to be. I would recommend taking a lot of time to think about what you want your name to be so you don't later regret the one you chose. But how do I choose a name? I can't think of anything! Keep a list on your phone of names that pop into your head, sit down and brainstorm some ideas on a piece of paper, or even ask your friends what they think. Here are a few ideas for getting started! Your Name. // This is probably the easiest option, and sometimes the best option! You likely won't grow out of it, and it will always fit your blog since it's well...your name. You could do either your first and last name or your first and middle name. Name puns. // Some people have the perfect name to create a "punny" blog name. I honestly think punny blog names are really cute and if you can think of one for your name, that's a great idea. A word that starts with the first letter of your name followed by your first name. // Sound familiar? Oh hey! That's what I did! I spent days, even months trying to come up with my new domain name and for some reason, Honestly Hannah just really stuck. When it comes to blogging, there are two major options: Blogger and Wordpress. As some of you may know, I personally use Blogger. I didn't do a whole lot of research on this before starting my blog, so I sort of blindly chose blogger. Most people are very attached to one or the other, but I don't really have a preference, although I do use Blogger. I have my own domain name (which I highly recommend) because a .blogspot blog doesn't look super professional. Side note - If you have any intention of making money with your blog, I would recommend purchasing your own domain name. The .blogspot or .wordpress extension makes it look like you aren't willing to invest in your blog. HOWEVER, if you are just blogging for fun and have no intention of doing it long term, the .blogspot or .wordpress option may be just right for you! So, you can either use the free version of Blogger and Wordpress, or you can use Blogger and purchase a domain name, or create a self-hosted Wordpress blog. After you've selected what you want your blog to be called and the platform you plan on using, it's time to really get started! Bluehost is a great option because you can host your site for as low as $5.95/month! Simply click here to be directed to the Bluehost site to get started with setting up your site. If you're using Blogger: This site has an amazing guide for connecting Bluehost to your Blogger site. Click here to read the guide. If you're using Wordpress: Bluehost itself has created a guide for creating a self hosted Wordpress blog. I have not personally used this method, but I've heard from other bloggers that a self-hosted Wordpress blog is a great option. Click here to read the guide. Yay! You're almost there! Now that you have your domain name and hosting, you can start getting into the fun part. There are a lot of free themes out there for both Blogger and Wordpress blogs, so you may want to start out with a simple theme while you're just beginning to create content. I purchased my current theme from this Etsy shop, but there are TONS of gorgeous blog themes that you can purchase off of Etsy. They're pretty affordable as well, so that's definitely a plus! I didn't do this right away, but I certainly wish I did! 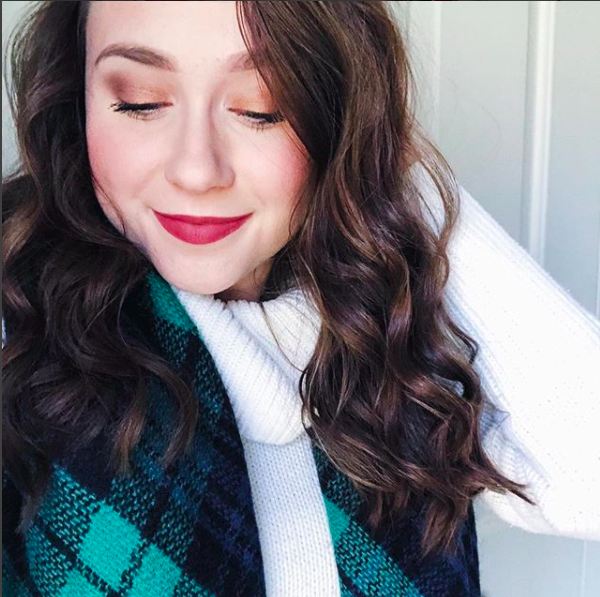 I ended up setting up an Instagram account specifically for my blog, a Twitter account, and of course Bloglovin'. I kept my previous Pinterest account, I just changed the name to match my blog! As I said, this is definitely optional. If you want to just use your personal social media accounts to promote your blog, that's totally fine as well! It's completely personal preference. I do, however, recommend creating a social media presence for your blog. Social media is all the rage these days so it's important to be represented on socials and continue posting consistently! Step 7: Create content like crazy! You've definitely heard this one before, but CONTENT IS KEY! Start creating high quality content right away. Try to be as consistent as possible, and start blogging about things in your niche. I already created a post entitled 10 Tips for New Bloggers, so check that out if you're looking for some tips on how to create an amazing blog. I hope this post was helpful for some of you who are interested in starting up your own blog! Please reach out to me via email or in the comment section if you have anymore questions, as I would be happy to help out! This is such a brilliant post. Although I have my own blog and have had it for what feels like a really long time I still read this post because it's just such a helpful refresher. It wasn't until last year when I got my domain name and I honestly wouldn't look back it's one of the best things I could of done for my blog. I've always like you blog design and I'm always on the hunt for pretty and functional new ones considering I've never invested in one. Thank you Charlotte! Etsy has some of my favorite blog themes. I definitely agree with you that purchasing a domain name is so helpful for your blog! This is such a helpful post for new and old bloggers alike! Thank you for sharing Hannah! !